Siblings Jessica Shin ’98 and Paul Shin ’97 co-founded Apollonix, a startup in Florida providing an online marketplace to streamline the process of ordering dental prosthetics between dentists and dental laboratories. Jessica Shin earned a B.S. in Chemical Engineering at the University of Maryland and a MBA in International Business from George Washington University, then went onto a series of roles in the federal government and other startups. Paul Shin earned a B.S. in Finance at the University of Maryland, then went into real estate before working his way up to a VP at Bank of America. They talked with Xinyi Zhou '10 about their career trajectories, Apollonix, and the process of founding and growing a startup. You two have a technology startup. Let’s go back in time – what was it like being at Blair and what was the technology like at the time? Paul: We didn't have cell phones. Paul: I remember we were one of the schools that actually had email accounts. We would go home and log in using a 56.6 dial up modem to Binx. Jessica: And we'd only get online after midnight when everyone else in the house was sleeping, that's when all the other Magnet people would be on this network. Paul: I remember using what was it, Netscape? Jessica: I think it was Lynx. We're typing in commands like /chat. There was no nice browser back then. Paul: I definitely did not have a laptop. Jessica: But we were all required to have TI-82's. There was nothing like Powerpoint presentations; there was a slide projector. What were your career paths after the Magnet? Jessica: After the Magnet I went to the University of Maryland (UMD) and I got my chemical engineering degree there, then started my career in the federal government. I was with the Nuclear Regulatory Commission. I was in various government agencies – the Nuclear Regulatory Commission, the Department of Defense, and the Department of Homeland Security. I got my MBA along the way and had an opportunity to work on some environmental projects out in Asia. The weather in the DC area got so cold that my family moved down to Florida, and that's right before the Apollonix story for me. Paul: I went to UMD as well and majored in finance. I really didn't know what I wanted to do for a while. I did real estate, and then I'm like, I got sick of working while people were off and playing golf while everyone else was working, so I thought, let me get me a corporate job. I started working at the Bank of America, was there for 10 years and at the end was a Vice President and managing the market. So I got really sick of that corporate job. The irony is, I lived in DC and my parents lived 20 miles away in Rockville, but I would almost never visit them. But once they went to Florida I would visit them almost every month and play golf. I got tired of the corporate world, Jessica said there’s a lot of startups being created here and I think that's an opportunity to do something without knowing exactly what – so I moved down to Florida. Just when that happened, my uncle and aunt moved down to retire, and they had a successful dental lab in MD for 20 years. They were playing golf and going to the beach every day, and after three months of that they got tired of that. Without knowing a single dentist they decided to open a dental lab. Since Jessica and I were looking for ideas, they asked, can you guys do some marketing for us in the meantime, drop off some fliers, show off some samples? A dental lab is, if you were to go to a dentist and they say hey you know what, you need to get a crown or a bridge or some dentures, the dentist would take an impression of those teeth and they would send that to a dental lab. They're the ones that are the artists and creating the prosthetics to send back. For most dentist patients, they have no idea that's going on in the background. So my aunt and uncle decided to open a dental lab, and Jessica and I were actually going to the dentists, and soon as we finish our great presentation, we turn around to leave, we immediately hear the brochures hit the trash can. Jessica: We started reaching out to some of our friends that are dentists and we spoke to other dental laboratories. I've had some experience using Fiverr and UpWork [online freelance platforms], and I thought there must be some way that this crowdsourcing works for the dental industry. There was absolutely nothing like this: we found out that the whole process is paper based 90% of the time. If you have any experience with medical professionals you know they are notorious for terrible handwriting. So there are lots of errors and miscommunications that are happening. That’s where Apollonix comes in. It's an online collaborative platform for the dentists and dental laboratories. We have a digital prescription on there, they can send it to any lab of choice, they can send electronic files, there's a messaging system. We also have this marketplace where the dentist can post a standardized prescription and any of the dental labs can look at the prescription and they can say, I can create that crown for you for X dollars and return it to you by a certain date, and the dentist can easily filter through the different labs that can do this for them. Paul: it's a B2B [business to business] business so it definitely takes a lot of work, a lot of conversations, a lot of conventions. When did your interest in entrepreneurship emerge? What was the first time you took the plunge? Jessica: I would say it's always kind of been there for me. I've never really understood what I wanted to do and I told you that I worked overseas, I was working in Korea and China. When I was working in Korea, they had these awesome sheet masks, these presoaked paper things that you put on your face. You can find it anywhere in Target nowadays, but when I was working in Asia in 2011, this was not around, this was a very Asia thing. So I actually started a company, a startup to bring Korean beauty products to the US. Paul: She was way ahead of her time. Jessica: Almost too ahead. I failed spectacularly. I had my MBA by this time, but going to business school and entrepreneurship are totally different things. I was very naïve and confident, but also had a lot to learn. So when I moved down to Florida I got involved in entrepreneurship here, and kind of relived everything I did wrong with this beauty company. One of the first things was writing a business plan, so now we excel at writing business plans. Paul: I pretty much came down to Florida not knowing what to expect. We had a chance to be ambassadors for an institute here called Founders Institute, and we got to go week after week learning what founders go through. Once we had some ideas, we would write them down, really discuss it, to make sure that the market was there and make sure that the market was big enough. At the end of the day you have to make money, you have to get revenue. We knew that it's a tough road, obviously getting funding is a challenge. But what's great about it is that it's yours, it's purely yours. Whatever you do, it's something that you're going to do, it's your mistakes. Jessica: And if it's successful, it's your success. Paul: And that's what we kind of hold onto. That we're making something on our own is really the idea that gets us to wake up and be excited every morning. Jessica: But it's also a very emotionally draining experience. Not every day is an up day. Paul: We've also had a lot of help throughout as well. We have people from the Magnet actually, our friends, that have invested in us. Kelly Tsaur, who was class of ‘97 with me, he's also our strategic and business advisor for Apollonix. Jessica: Marcus Baker who graduated with me [class of ‘98], he's the developer for Apollonix right now. Even though we lead it, we have a lot of help from our Magnet friends from 20 years ago. What's your advice to students today that are interested in the startup route? Jessica: I would say that make sure you can emotionally handle failure. Because I think there’s a reason why people in their 30s get interested in entrepreneurship -- they've worked with people after college, they've got their feet wet career-wise, but now they see they have a direction. It really helps you to build that discipline as opposed to just jumping into a company. But even in college I really encourage anyone that's interested in entrepreneurship to see the opportunities that the university offers. Paul: There's a lot of local startup help, especially in major cities. I'm sure they can find it on either Meetup or Eventbrite and stuff; there are a lot of startup events that they can go to and find out who the players are in the area. You talk about startups and people are, oh everyone wants to do a startup, but it's really a small community. Everyone kind of knows each other, especially the investors. That's something to really know. Go to those events, get to hear some of the pitches, and how people are presenting their ideas, and take inspiration from that. Talk to people that are involved in that and really, people can also message us as well. We're definitely willing to share our experiences and our ideas. Jessica: Point them in the right direction in terms of research and guidance. Paul: But no means are we perfect. Jessica: But we have a buttload of experience. We're constantly learning and we're always looking for resources too. Paul: The entrepreneurship thing -- once it bites you, you just get addicted to it. Jessica and Paul’s emails are jessica@apollonix.com and paul@apollonix.com. Feel free to reach out to ask for mentorship on your startup. 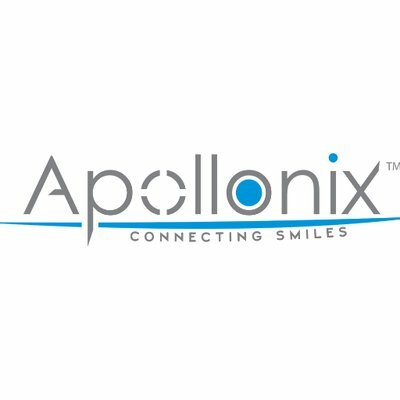 Apollonix is also looking for salespeople and developers.